What is one of our favorite things to do? Enjoy the spaces we design. 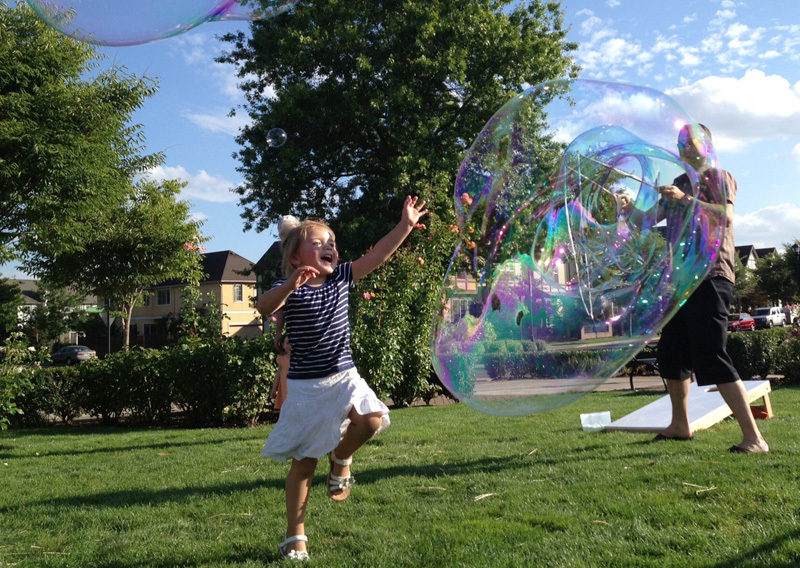 This year we converged on Sofia Park in Wilsonville, Oregon for our annual office summer party. Sofia Park is one of the three parks Mayer/Reed planned and designed in Villebois, a 540-acre mixed-use community in Wilsonville, OR. The warm summer evening was perfect for our growing Mayer/Reed families to enjoy a picnic and laughs over lawn games and giant bubbles. The kids explored the playground and climbed big boulders and trees in the rocky stormwater swale. We ended our evening with a stroll up the promenade to the town center where we played a few games of bocce ball at the recently completed piazza. 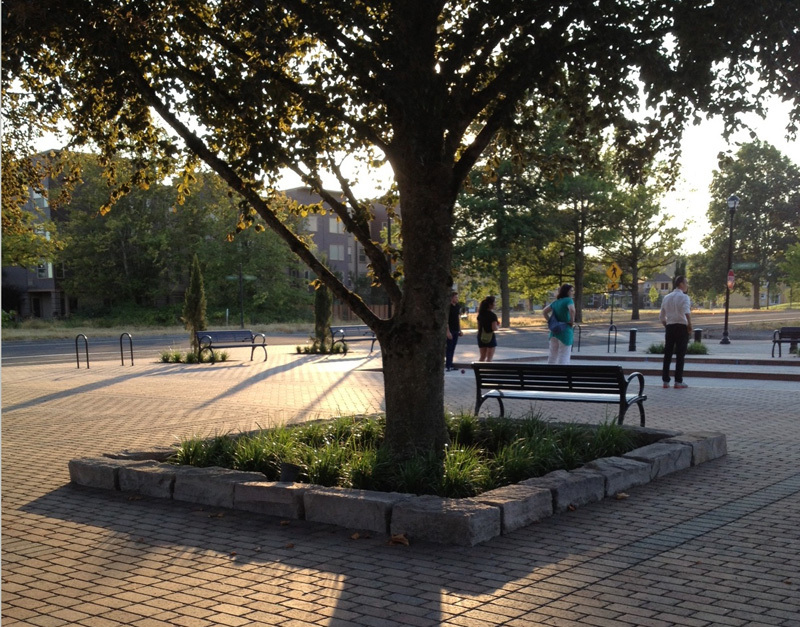 Parks and public spaces integrated into developments are integral to creating a sense of community. Meeting neighbors and forming life long friendships are important traditions of neighborhood parks. 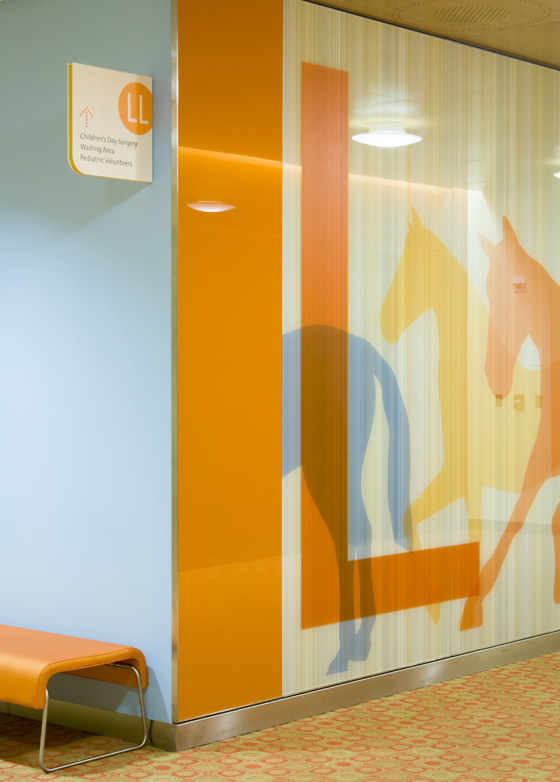 These spaces connect us and create shared meaning. It was a great to see these connections taking root and the parks filled with activities. 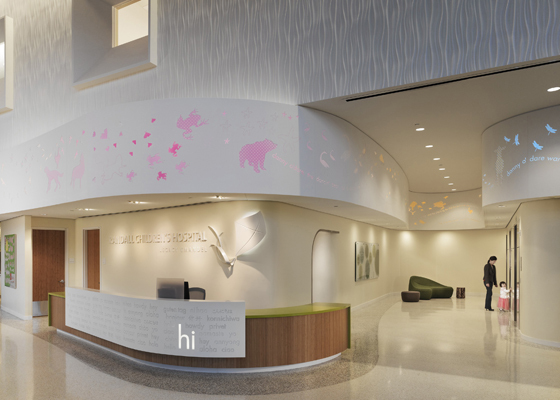 The Society for Environmental Graphic Design, a global community of people working at the intersection of communication design and the built environment, recognized the team of ZGF Architects interior group and Mayer/Reed with an Honor Award for their collaboration on the environmental graphics and wayfinding for the Randall Children’s Hospital in Portland, Oregon. The jury reviewed submissions from around the world and awarded 17 merit awards, 1 jury award and 4 honor awards.